This post onSimple Last Minute DIY Cute Halloween Costumes is brought to you from Couponchief.com. All opinions are 100% my own. I have been gone for 5 days and Halloween is on Saturday. I need to get going on my kid Halloween Costumes. Personally I love having the kids come up with something creative we have at home. One year my youngest was Huck Finn and another Cereal Killer. We used things we already had at home or bought things he could reuse. Here are 5 Easy Kids Halloween Costumes you can make with clothes and items you already use. Who says you can’t dress for Christmas at Halloween. 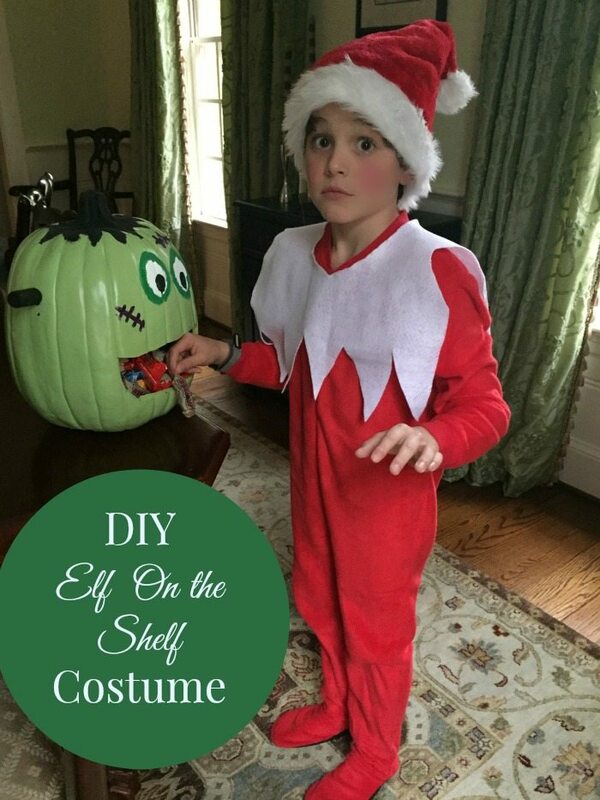 This year our last minute DIY costume was Elf on The Shelf. You simple need red onesie PJ’s, a Santa Hat and White Felt. Most adults remember the Care Bears. Create a family of Care bears with simple Sweat Pants and Felt. This should only take a few minutes and you have a great family costume. Most kids have plenty of stuffed animals for this cat lady costume. All you might need is a fuzzy robe. 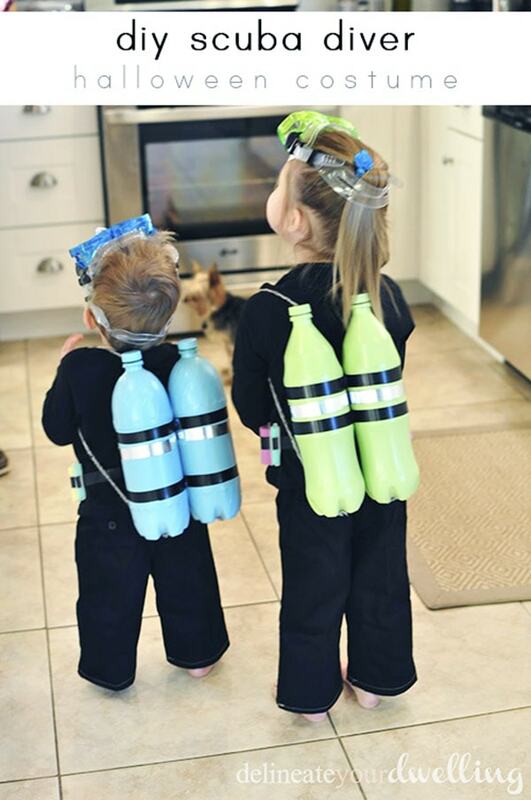 Ask your neighbors for some extra 2 liter bottles and create this adorable DIY Scuba Diver Halloween Costume. Not all super heroes need capes. Make Clark Kent with a t-shirt and some men’s wear. I am sure you can find an umbrella that no longer works. 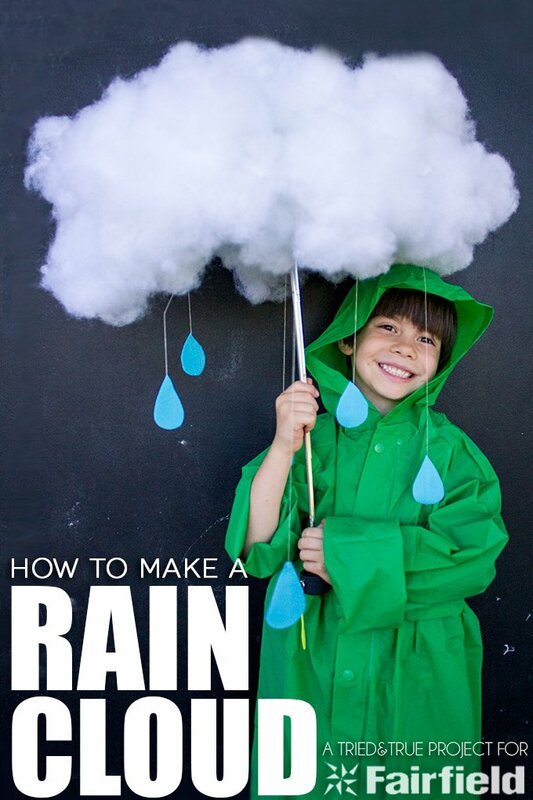 Transform it into this Raincloud Costume. All kids love the Minions. 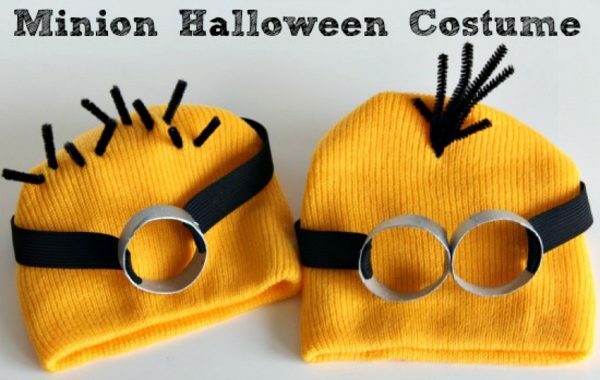 By transforming some simple winter hats, you have these easy DIY Minion Halloween Costumes. What a simple but creative way to dress up as a group. 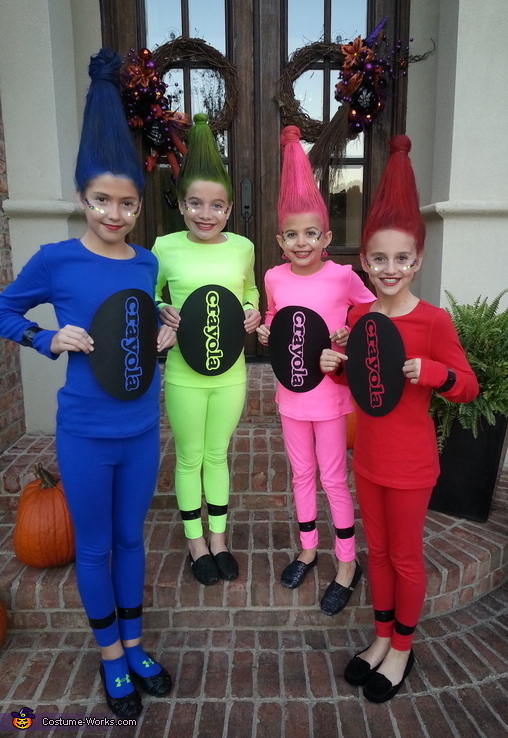 Each kid picks their favorite color in this last minute Crayon Costume idea. 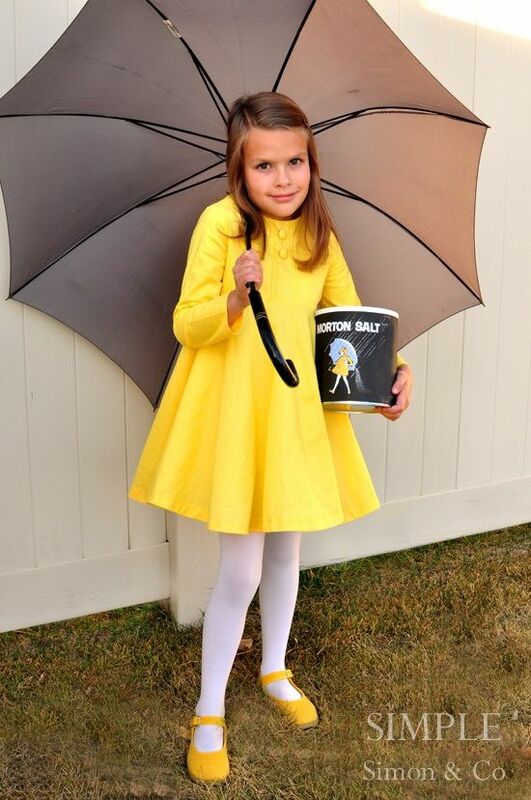 Grab a cute yellow dress your daughter can wear again and then add a canister of Morton salt and an Umbrella. Ta Da you have an instant kids costume. Grab some inexpensive t-shirts and some face makeup to create a Frankenstein Costume for your kids. Stick Figures are seen on some many back windshields these days. Dress up your child with some simple clothing and duck tape. Here is my son last year in his 4:30 pm creation for a 5pm Halloween Party. 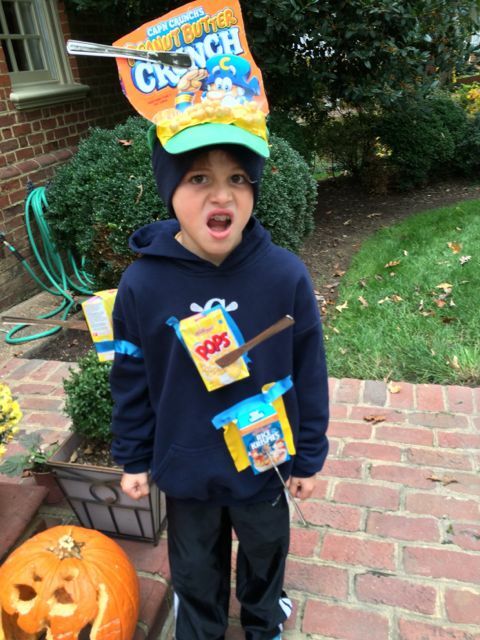 A pun on words Cereal Killer costume. What is your go to last minute halloween costume idea? What do you think of the 10 Simple Last Minute DIY Cute Halloween Costumes? Such a cute post! I wish I had this to read as my daughter was growing then I wouldn’t have had to buy those expensive costumes. Great post! These are so great! I especially LOOVE the salt girl one!!!! So cute! These are all so cute. I think the scuba divers are my faves! 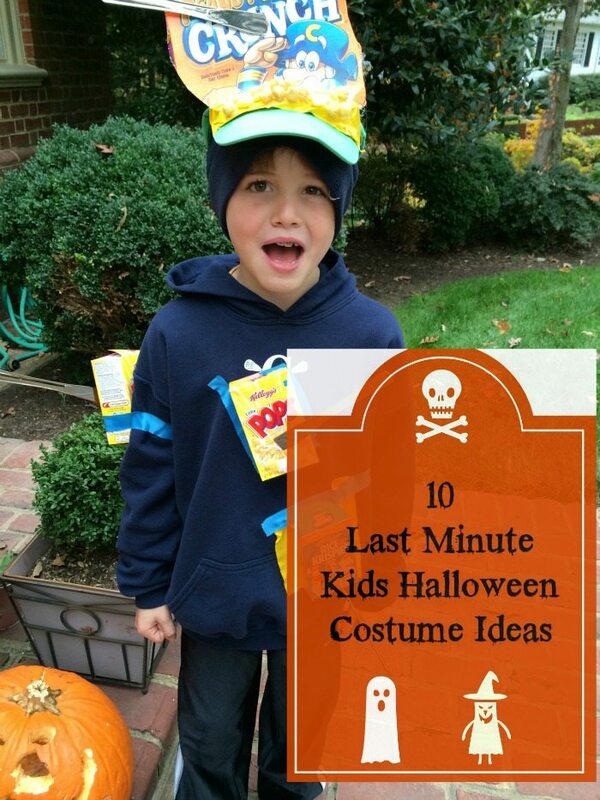 All great ideas for last minute costumes! I love the stick figure one especially and the crayon one would be easy to make, too! I love the hair on the crayons – it’s adorable – and the cereal killer is quite clever! I love all of these! Such cute idea! Oh my goodness those scuba divers are adorable! Adults could do these as well! Some of these are hilarious! I love the crayola crayons! Great ideas! I love the crazy cat lady! My favourite is the raincloud costume it is so creative and different from the normal witch or devil Halloween costume that people tend to wear. The cat lady one is sooo cute! I may use that one for myself this weekend! That cat lady costume is adorable. She just needs a blue ‘old lady’ wig!